A new report by Statistics SA shows that the young white population group in South Africa has declined substantially in recent years. The black African population group continues to be in the majority among the youth age group – age 15 – 34, accounting for 16.313 million people out of a total population of 19.586 million in 2014. That number is up from 15.208 million in 2009. 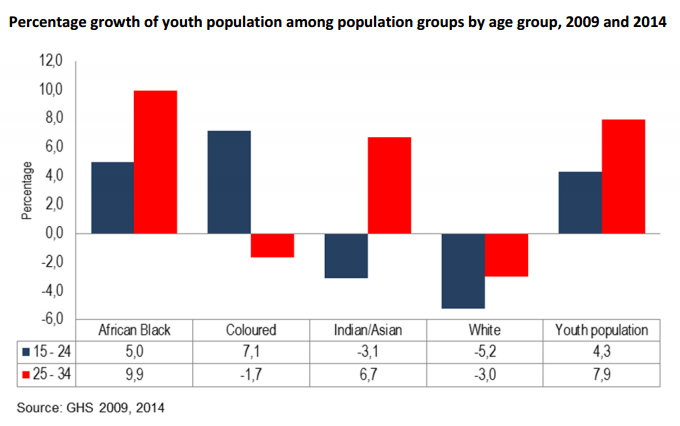 The coloured population in the same 15 – 34 category grew to 1.627 million in 2014, from 1.581 million in 2009, while for the Indian population, the number was up to 452,000, from 443,000. For young whites, the number has declined to 1.193 million, from 1.245 million in 2009 – a difference of 52,000 people over five years. 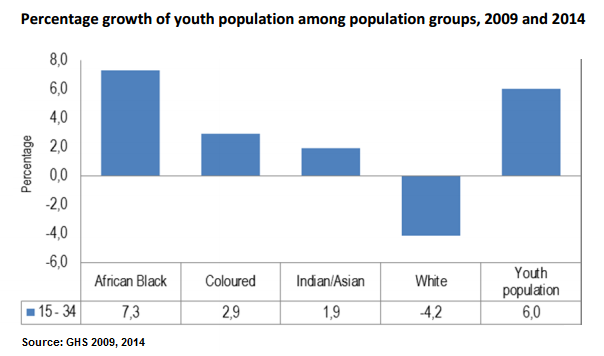 Overall, the youth population in SA grew by 1.1 million to 19.586 million between 2009 and 2014 – 6.0%. The black African population group recorded the biggest increase growing by 7.3%, while the white population declined by 4.2%. “This can be attributed to emigration and/or low levels of fertility amongst the white population group,” StatsSA said. 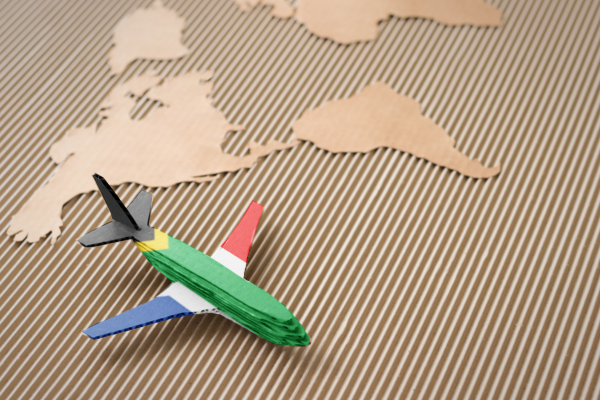 A report by the stats body, published in mid-2015 showed that 95,158 whites had left South Africa since 2011. Statistician-general Pali Lehohla, said there was a trend among white children, who had just finished matric, to go elsewhere to gain some experience. For example, a lot of white engineers had found employment in Dubai. The United States, New Zealand and the United Kingdom were among the countries South African whites had migrated too. While over 95,000 whites had left South Africa since 2011, according to Stats SA’s estimates, white migration has slowed. Between 1986 and 2000, 304,112 white South Africans left the country. Between 2001 and 2005, 133,782 whites emigrated, dropping to 112,046 between 2006 and 2011. This meant between 2011 and 2015, 16,888 fewer whites left South Africa.